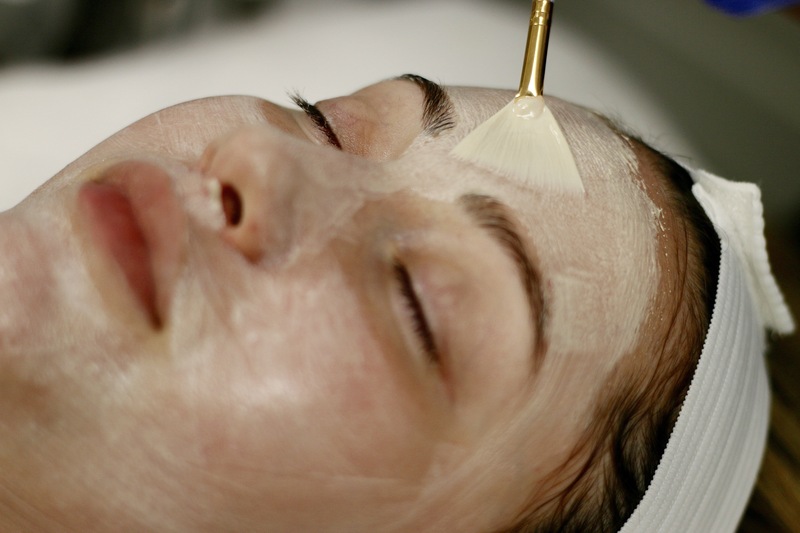 Have you ever had a facial that left your skin completely transformed…for the better? If you have, think again. If you haven’t, I’m here to spill the tea! I recently went to a new wellness center and spa in Glendale founded by my good friend Hilda. She’s a mom, pharmacist, and lover of all things wellness. She initially opened the doors of her new venture for anyone who wants to focus on their health but doesn’t want to sacrifice time away from their family. As a working mother she knew how it felt to constantly be away from her kids due to her work obligations. Thus, out of sheer passion to spend more quality time with her two children she came up with HAAS Wellness, where you can take yoga classes with your children then go next door for a facial. Although I didn’t take my son with me, because mama needed a pamper day to herself, I did take my photographer so she can snap shots of the whole “Fire & Ice” facial and the amazing results that follow. I’ll be honest, I was hesitant to try this facial because I’ve heard it can sting a little. You guys know me and pain are like Pablo Escobar and the DEA- ENEMIES! Yes, I’m back to watching my favorite show Narcos, again, LOL. Anyways, I was reassured that the pain was tolerable so I went ahead and booked the infamous Fire & Ice facial that all of Hollywood is raving about. Now, I can confirm that the hype IS REAL! You guys, my skin feels like my sons skin- baby soft and just right! First, the esthetician started by cleansing my skin. Then, she went on to apply the “fire” portion of the facial. After about 3 tingling minutes she cleansed the “fire” off of my skin and started with extractions. I love that she wore gloves throughout the entire facial. They take sanitation very seriously here, love that! Then came the best part, the “ICE” portion. This was the cool down period to calm your skin after that burning sensation. This pastel green mask included some amazing ingredients such as aloe vera, rosemary extract, green tea extract, and hyaluronic acid. My esthetician, Ginger, added some cool cotton pads into the mix and advised me to relax as she massaged my tense shoulders. My personal favorite part of the facial. After my relaxing massage she gently wiped off the icey mask and applied serum and SPF. Look at my baby soft skin…obsessed! You guys, this facial has completely transformed my skin. I used to have these internal little bumps all around my cheeks, forehead, and chin from congested skin. You know, the kind you can’t pick out, the ones that are deep within your skin and are noticeable once you apply foundation. Yes, those! Now? COMPLETELY GONE! My complexion looks brighter, cleaner, and I have a healthy glow. You can see it in that last picture! I’m truly blown away at the results and urge anyone who wants a complete skin transformation to try this magical treatment. I would do it a few days before a special event (depending on how quickly your skin heals from extractions) so you can have a flawless complexion just in time for your photo-op. Thankfully, I did it just before my Bibs & Bellies panel yesterday. + Want to love me even more? I got you guys 10% off any treatment HAAS offers. Just mention my name when you call to book your appointment!